Blood clots are not something to be taken lightly. They are life-threatening as they restrict the flow of blood to and from the heart. Blood clotting occurs as a result of blood cells clumping together and then coagulating. There are various factors that cause blood to clot. Blood clots can still be treated and even prevented. Patients just need to be treated accordingly until they’re back to full health! A lot of people are affected by frequent blood clots, but there is hope! There are plenty of blood clot treatment options available. 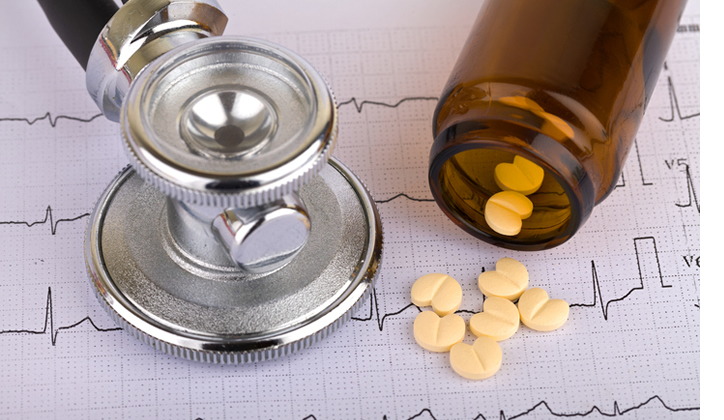 Anticoagulant medications, also known as blood thinners are the most effective treatment for blood clots. These medications reduce the speed at which blood clots as well as preventing blood from clotting. The most common medications used to treat blood clots include heparin, low molecular weight heparin, warfarin, and many others. Unfractionated Heparin (UF) is a fast-acting anticoagulant that is administered intravenously. This blood clot treatment option requires a doctor to perform daily blood inspections to monitor heparin activity and take the right action. Because blood vessels change quite often, they need to be checked daily. The major advantage of this option is that it works quickly and it’s more effective. However, it has a few downsides. First, it requires a lot of monitoring. Secondly, patients should be hospitalized for 3-10 days so that they can be treated. The side effects of unfractionated heparin include headaches, bleeding, skin rashes, cold symptoms, and upset stomach. Patients can inject low molecular weight heparins themselves. They do not require the patient to go to the hospital for administration or monitoring. This treatment option is more effective than UF heparins as it has longer a longer-acting effect on the body. The readily available low molecular weight heparins are; dalteparin and enoxaparin. However, these drugs are expensive and could cause loss of bone strength. Warfarin is a long-term blood clot treatment pill that hastens anticoagulation. This pill is administered together with heparin whereby a patient is supposed to use both drugs for a period of 5-7 days or even longer. On completion of warfarin dose, the doctor can stop administering heparin and discharge the patient. Warfarin is one of the most common drugs as it is inexpensive. However, it has several side effects such as bleeding, headaches, rashes, skin breakdown, hair loss, purple toes and elevated liver enzymes. Specific anticoagulation medications inhibit blood Factor X, hence helping in thinning blood. These drugs include; Apixaban (Eliquis), Rivaroxaban (Xarelto), Dabigatran (Pradaxa), and Edoxaban (Savaysa). You can take them orally and may experience quick side effects such as bleeding. This treatment for blood clots does not require one to undergo frequent laboratory monitoring. Once patients’ conditions are analysed, drugs are prescribed for their condition. Apart from heparin and warfarin, there are currently no antidotes FDA approved drugs to reverse the effects of Factor X inhibitors. Just like deep venous thrombosis, blood clots are treated depending on the severity and the current health status of the subject. Blood clots may require admission to hospital for further treatment and observation, especially in cases of compromised lung function. This blood clot treatment option is performed on patients who are suffering from heart attacks, strain and shocks. Thrombolytic therapy entails administration of tissue plasminogen activators (TPAs) which are injected into a peripheral vein in the arm to foster blood thinning. However, in the case of a blood clot in an artery, different tissue plasminogen activators are utilized to restore blood flow. These include Alteplase (Activase, TPA) or tenecteplase (TNKase). During this procedure, cardiac catheterization is first performed to identify the affected blood vessel and then a balloon angioplasty is done to remedy the condition. Cardiac catheterization has to be performed quickly. But if the healthcare facility is not in a position to perform it, a TNK or TPA is intravenously used to dissolve the thrombus and lessen heart damage as he or she waits for cardiac catheterization to evaluate their heart anatomy. The doctor will decide whether to place stents to keep the blocked artery open or perform bypass surgery to restore blood supply to the heart. 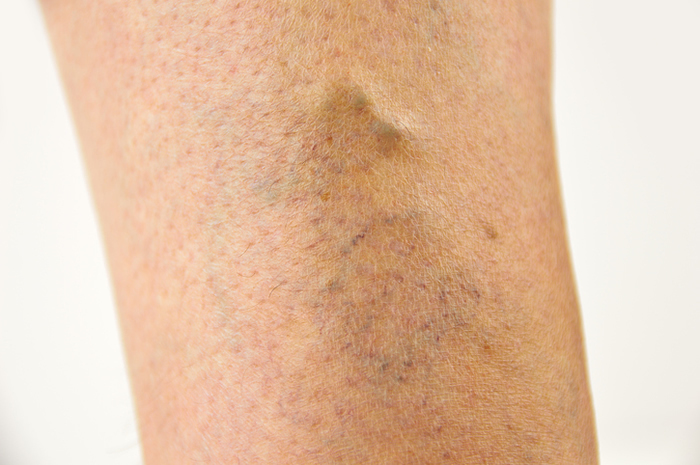 Blood clotting in the leg can affect either superficial veins or deep veins. Ibuprofen and acetaminophen are used for pain management and reduction of inflammation. Blood clots in the legs are less likely to be fatal due to the anatomy of the leg. Hence, they are less likely to travel to the lungs or brain to cause severe complications. Patients who have developed severe deep vein thrombosis in their legs generally need surgery. However, it should be noted that not all leg blood clots need surgical treatment. But for serious cases like a blood clot in the lungs, a quicker treatment option like a catheter-directed method is always advised. Arterial blood clots are another type of clot that requires quick surgical treatment. Healthy feeding habits play a major role in preventing blood clots. A diet of low nutritional value is the main cause of a vascular disorder, fat accumulation in the veins, blood coagulation, and weak blood vessels. It’s, therefore, advisable for you to eat a balanced and nutritious diet to reduce the risk of blood clots. Make sure you drink plenty of fluids to improve hydration and blood circulation, as well as flush out harmful toxins that may contribute to clot formation. There are many home remedies that can aid in the prevention and even cure of blood clots. Apart from being a good detox agent, garlic boosts blood circulation and revitalization. Ginkgo, pepper, Cayenne (capsicum), ginger, cinnamon turmeric and bilberry also reduce fibrin content which is known to cause coagulation and hindering proper functioning of platelets. Spinach juice and celery are also good at preventing fat accumulation in blood veins. To prevent blood clots, a combination of spinach juice, garlic cloves, and peppercorns is recommended. Foods that are rich in fiber and Vitamin C like broccoli prevent vascular disorders and blood clots. Additionally, skimmed milk promotes better functioning of platelets as opposed to full cream milk. Physical therapy is another effective remedy for blood clots. One of the recommended physical therapy treatments is a full body massage that works to stimulate blood circulation in the body. Sesame or other herbal oils should be used for this type of massage as they’re the most effective at preventing blood coagulation. The hot and cold pack therapy also promotes blood flow in the body. Besides, it lessens the possibility of fat accumulation in body veins. You can also lessen the chances of blood coagulation by engaging in regular body exercises. So there you have it. The above-mentioned treatment for blood clots can be of great help to beat this fatal condition. Remember that no matter how small a coagulation issue looks, it’s advisable to consult a healthcare professional whenever you experience any signs. Even minor coagulation effects can lead to further disastrous body complications or even death in the future.